Geocaching is a real-world, outdoor treasure hunting game using GPS-enabled devices. Participants navigate to a specific set of GPS coordinates and then attempt to find the geocache (container) hidden at that location. Every geocache in the world is registered at one central site, www.geocaching.com. To learn more about geocaching, you can visit Geocaching 101. The Gateway Trail is home to over 60 geocaches that span the entire length of the trail, from Pine Point Park in Stillwater to downtown St. Paul. Geocaching is a great way to get the family outdoors and exploring the trail and all that it has to offer. Always try to tread lightly on the land so you minimize the impact of your activity on the environment. 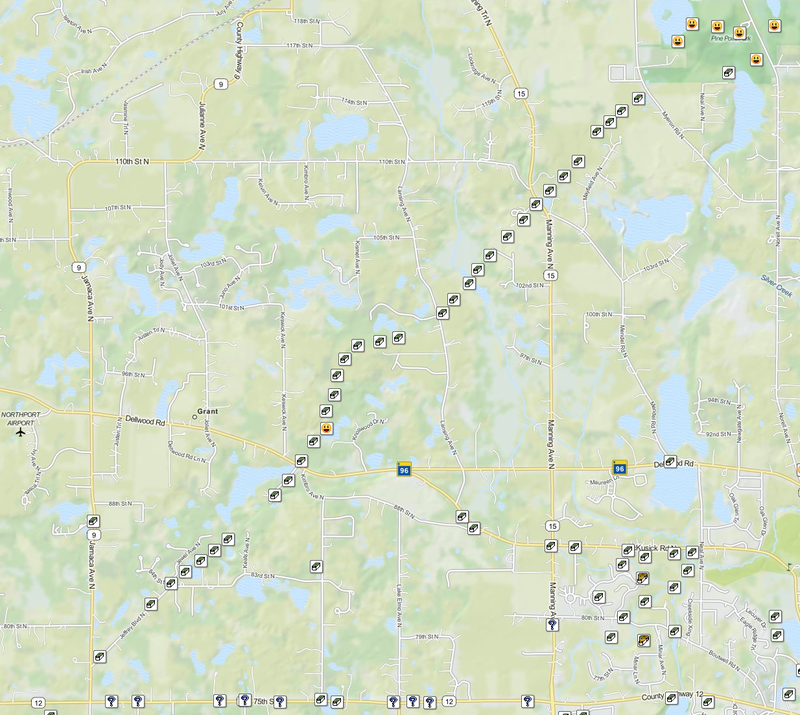 Any caches in Minnesota state parks or on state trails have been placed above the ground, and in relatively well-traveled areas. Never remove a cache, or relocate it even a little bit. Leave the cache exactly how you found it so others can have the fun of finding it too! Observe all laws and respect property rights. Practice "Cache In, Trash Out"! Geocaches are always located on public land, so if you find yourself wandering onto what may be private property, you can be certain you are looking in the wrong place. Learn more about geocaching in Minnesota State Parks and on State Trails here. Map showing some of the geocache sites along the Gateway Trail.